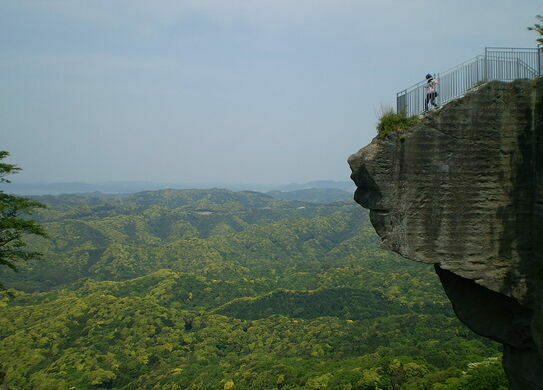 Even after nearby Nihon-ji was founded in 725 by Emperor Shōmu, it was nearly a millennium before people other than priests and pilgrims visited Nokogiri-yama, literally “Saw Mountain,” so named due to the ridge line’s resemblance to a traditional Japanese saw. The self-mummified monks of Japan. 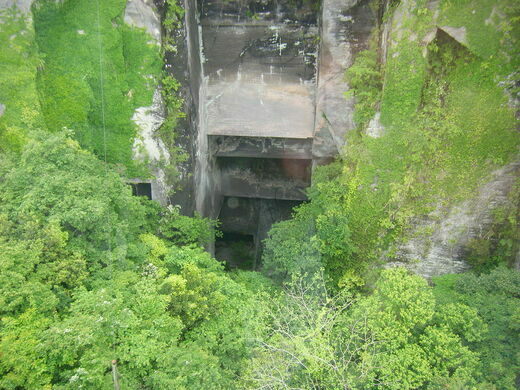 However, in the Edo Period (1603-1868) the mountain became home to a major stone quarry for the region. The massive stones cut from the cliff over the centuries further accentuated its severe appearance and the sharp line its profile cuts, jutting up from the forest below. In the 1700s, thousands of stonecutters and artisans lived on and around the mountain, and they left their mark in more ways than one. They carved an impressive relief of Kannon as well as Japan’s largest pre-modern stone Buddha, and left dozens of small stone arhats around the south side of the mountain. Today, most visitors take the ropeway to the top to view Tokyo Bay from the ridge, see the large carvings, and peer down a jutting section of cliff known as the “Glimpse into Hell,” but hiking up the mountain from the north provides a glimpse into what life was like on the mountain in the 18th century. There you can follow old cart paths where the cut stone was brought down off the mountains. The path itself is often cut directly through massive boulders, and the ruts from the stone-laden carts are still easily visible in bedrock. Arriving at the cliffs, visitors find a rudimentary open-air temple carved directly into the cliff face where the stonecutters could worship. Nokogiriyama is easily reached via Hamakanaya Station along the Sotobō line. From here you can follow signs to one of a few hiking trails or to the ropeway direct to the top of the mountain. A small island with no monkeys but plenty of military ruins.